BT vs EE Network Comparison 2019: Both networks running on the same network with very different perks. 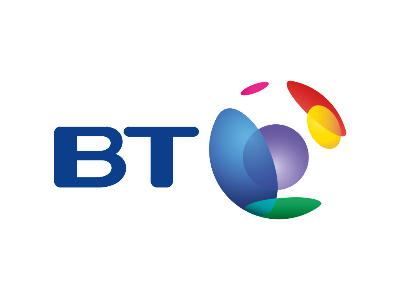 BT group is the largest telecoms company in the UK, with a large fixed line business, they recently expanded into mobile with BT Mobile. What you might not be aware of is the fact that BT also owns the EE network & Plusnet Mobile. Though all these networks are operated by the same company, they all have their individual perks. In this article we provide a comprehensive review comparing BT & EE. Generally, EE’s network targets higher end mobile phone users. The network has a wide selection of handsets and promises the fastest download speeds in the market with large data plans for data hungry customers. There are also other perks such as 4G calling, inclusive roaming, Apple Music, and Wi-Fi Calling. BT, on the other hand, is targeted to the slightly lower data user with a great family plan option which helps customers consolidate their household phone bill efficiently and cheaply. Just like EE, BT offers a range of handsets these go from your high-end flagships from Apple & Samsung to your budget models. They also couple this with some great perks such as extensive Wi-Fi hotspot access, tethering and family discounts. EE is the largest mobile network in the UK. It is committed to constantly improving its network and covers 99% of the UK’s population. As well as being the largest network in the market – it is also boasts the fastest data speeds. However, with the best coverage and fastest speeds comes a higher price point. With EE, you can enjoy various advanced features including Wi-Fi calling, free access to Apple Music & BT Sport, unlimited tethering, and excellent customer service. Want to know more about EE? Read our EE Review. BT Mobile is a great all round network. Powered by EE, BT Mobile gets the basics right by providing 99% population coverage and the fastest data speeds in the market. 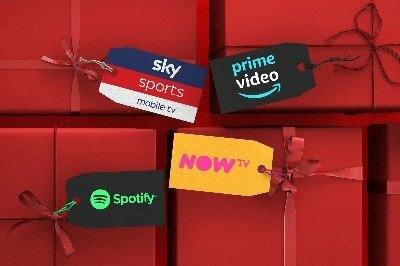 In addition to this with 5 million Wi-Fi hotspots in the UK, Family SIM offers with great discounts and access to the BT Sport App, BT Mobile has developed a well round proposition while providing quality and additional perks at a more reasonable price point than some of the bigger networks. Best coverage & fastest data speeds with 29 MB/S on 4G. Access to over 5 million Wi-Fi hotspots in the UK saving you data. Family SIM’s with 20% off additional plans and no strings attached 30 day plans. Want to know more about BT? Read our BT Mobile review. When it comes to network coverage and speed, both networks use the same network and their 4G, 3G, and 2G speeds are the same. The standard speed for 4G is about 30 MB/s and customers can enjoy double speed 4G at about 60 MB/s On EE, however, customers on an EE Max Tariff have the additional advantage of enjoying the 4G+ speed of 150 MB/s+ in some areas. In terms of network coverage and performance, it’s a draw since both options run on the same network and share the same speed. However, if you must choose between the two on this ground, then EE earns an extra point because of a higher 4G speed in some areas, but again this is limited to premium plans. Running on the same network both BT Mobile & EE offer 4G calling (known as VoLTE). The quality of the service is excellent with better audio performance and connection versus the other networks. Basically, you won’t experience any kind of problem on either 4G calling or Wi-Fi calling. Whether you make voice calls in rural or city settings, the quality will generally always be good. We give a draw here since the two providers run on the same network. You not only get to make calls in 4G coverage areas but also in 3G and 2G areas. If you are looking to turn your phone’s internet connection into a Wi-Fi hotspot, you won’t have a problem with either EE or BT. However, this is not always a great idea since you are likely to burn through your data a lot faster. But still, tethering is never limited on either network, regardless if you are on a SIM only or phone contract and you can use as much data as you want on the connected devices. It’s a definite draw here. For this reason, we recommend comparing the bundle pricing for the two networks if you are planning to enjoy tethering from either of them. This will help you pick the most cost-effective option for your level of data use. Both networks allow you to enjoy roaming services free of any additional charges to 47 EU countries. Nonetheless, EE comes with an extra advantage of allowing roaming in non-EU countries like USA, Mexico, Canada, and New Zealand at no extra charges on the 4GEE Max Pay Monthly plans. You don’t get non-EU calling on BT. Because of the non-EU roaming advantage, we have to give EE a win here. But, BT is still a great choice if you are looking to enjoy roaming within Europe. Vodafone has no roaming charges in 77 destinations worldwide with their Red Entertainment Plans – check out our detailed review to find out more. Both networks offer Wi-Fi calling. This perk allows you to take calls over Wi-Fi and not over your regular mobile connection – the benefit of this is you can make and receive calls in locations where you may have poor 4G/3G connection but access to Wi-Fi. You’ll need to ensure your SIM is in a compatible phone to make a call via Wi-Fi. Most phones bought from EE and BT support the service but we recommend checking if your current phone is enabled for the service. In the case of Wi-Fi hotspots, you can access Wi-Fi hotspots on the London Underground at over 250 stations. On BT, however, there are over 5 million public Wi-Fi hotspots spread across the UK which are easily accessible once you have registered your device. Wi-Fi hotspots make the difference here, BT Mobile customers having access to over 5 million Wi-Fi hotspots means customers can save a decent chunk of their data every month. However, for the best network for Wi-Fi calling we recommend Three with their seamless connectivity. 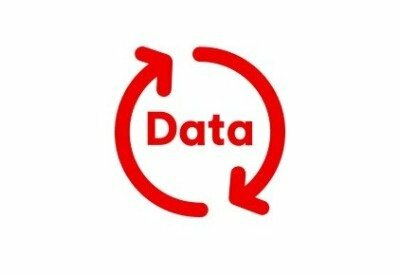 Data rollover is a perk that allows you to automatically transfer your unused data to the following month. Unfortunately with EE this isn’t available on pay monthly contracts or SIM only deals but you do get access to data rollover with an EE PAYG Plan. BT Mobile doesn’t have data rollover available on any of its plans. Lack of data rollover on BT simply means that EE takes a big win on this perk. It’s generally a cost-effective option since your data is not wasted when the subscription ends. You just have to ensure that you are not late with topping up when the subscription expires. The only downside is that this isn’t available on SIM only or phone contracts. Our best network for data rollover is SMARTY, with SMARTY you get money back for any unused data – meaning you never waste any data again. These days networks are offering family plans that provide great value to customers looking to get their household phone bills consolidated into one. BT Mobile offers a family SIM deal which means each additional SIM purchased comes at a 20% discount to the standard price. On top of this each of these SIM’s are on 30 day rolling contracts which mean they are commitment free! On the EE family Sim, you can now enjoy discounts of up to 10% on product deals such as phone contracts and tablets. In addition, you are promised 5GB extra family data when on Home Broadband. Customers also enjoy data gifting advantages where they are able to gift someone a part of their monthly data. EE offer customers discounts on additional plans purchased on their account. Any additional SIM, phone or broadband deal will be available at a discount of 10%. EE also offer ‘data gifting’ – this allows customers to share data between multiple plans on a single account. This gives customers to ability to move data between their different plan i.e. if you run out of data on your tablet you can transfer some from your phone’s plan. This is a great option for families to reduce the number of out of plan costs you get hit with. BT comes out on top with their straightforward 20% discount which couple with a no strings attached 30-day SIM contract is one of the strongest family offers in the market. Some networks are offering customer rewards applications which offer discounts with popular high street retailers & restaurants. Some of these rewards such as Priority with O2 offer early access to purchase tickets for gigs. Unfortunately neither EE nor BT have a reward app available to their customers at this time. A number of networks are offering additional perks to separate themselves from the growing telecoms market. For example, customers joining EE on specific pay monthly plans get access to the following perks. BT also has reward programs for their customers. The most popular promo on the network is the BT MasterCard Reward program that allows customers to enjoy up to £100 in rewards. However, they recently scrapped off BT sport from their perks and so you can no longer enjoy the app on BT Mobile. The other impressive customer reward on BT Is the discount offered to existing broadband customers. You can enjoy up to £5 off your phone contract or SIM deal every month. EE wins out – with access to premium subscription services such as Apple Music & BT sport, being an EE customer comes with a number of great additional perks. Based on our analysis EE comes out on top out of the two networks. Despite running on the same EE network, EE has a number of additional perks such as access to a several premium subscriptions, a more comprehensive roaming offer and 4G++ in certain major cities. Despite this BT Mobile is a great option for the lower data user, or someone looking to consolidate their household phone bill with their market leading discounts. Either way both networks are recommend by Half Cooked as great options for your next SIM or phone contract. Previous articleBest Family Mobile Plans in the UK 2019: Discount SIM deals or Data Sharing? Next articleThree vs SMARTY: Money back on unused data or inclusive roaming in 71 destinations worldwide? Free Wi-Fi Hotspots: Which UK Networks have this data saving perk? Three vs SMARTY: Money back on unused data or inclusive roaming in 71 destinations worldwide? Vodafone vs Three Review 2019: Sky Sports Mobile Subscription or Unlimited Netflix Streaming? Voxi Review 2019: The network with unlimited social media! Three Review 2019: Half Cooked’s favourite all around network! Half cooked is a team of specialists that have a wealth of experience in the UK telecoms industry. Amongst our team, we have specialists whose expertise range from strategy, finance, performance marketing and we even have a national digital award winner.